The construction industry greatly depends on visualizing how certain projects are going to look like. Therefore, the most reasonable way to simulate any part of the construction endeavor, such as construction equipment is by making and showing a video. More precisely, a 3D animation video. Product demonstrations will look and feel authentic only with the help of the medium closest to the real thing. So let’s see why promoting your construction tools is best done through 3D animation. The first and the foremost reason you need an animated video for construction equipment lies in between the idea and the production phase. When you have a perfect 3D sketch, you can spot potential errors in the design. If an image is worth a thousand words, a video ranks much higher. Let your team members inspect the video to make sure everything’s in its right place. So, before making the product, use animation videos to avoid unwanted issues in the product design or its function. Once there are no more flaws, your construction equipment or construction tools can be made in bulk. From then on, you should use 3D animation videos to get closer to your customers. The video will make them care about your brand. For example, you can showcase what the product is all about since the viewer will remember almost every bit of the information. Moreover, a potential customer will have a clearer picture of a product from a video than from reading big and boring chunks of text. Lastly, they will understand how you’re supposed to use the product and what you’re using it for. As mentioned, 3D animation helps in understanding how stuff works. Especially if you need to explain about building or construction materials to a person who’s never seen a construction site in their life. 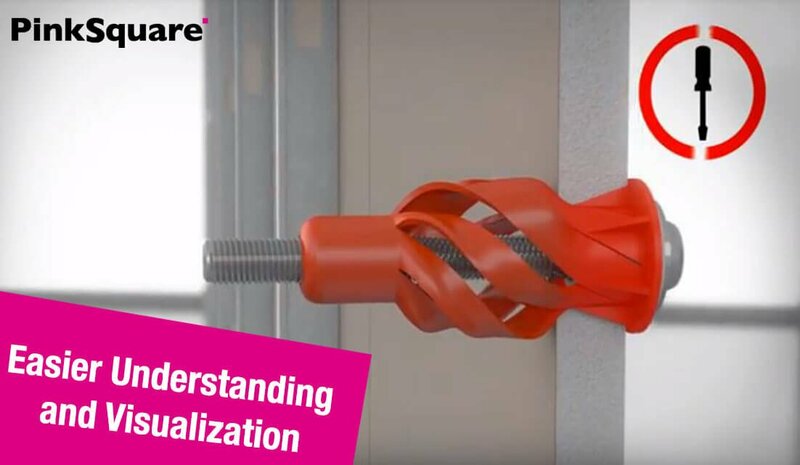 By presenting a 3D video about your building materials and explaining what goes into the construction process, a customer can instantly know what their house is being built of. Apart from building and construction materials, you can use explainer videos for products if you run a small business, but we’ll get to that later. Heavy industry includes large machine tools or huge buildings, most notably in the energy sector. If your company is producing such products and you have a heavy equipment list to present to the customers, the solution might just be a 3D video. 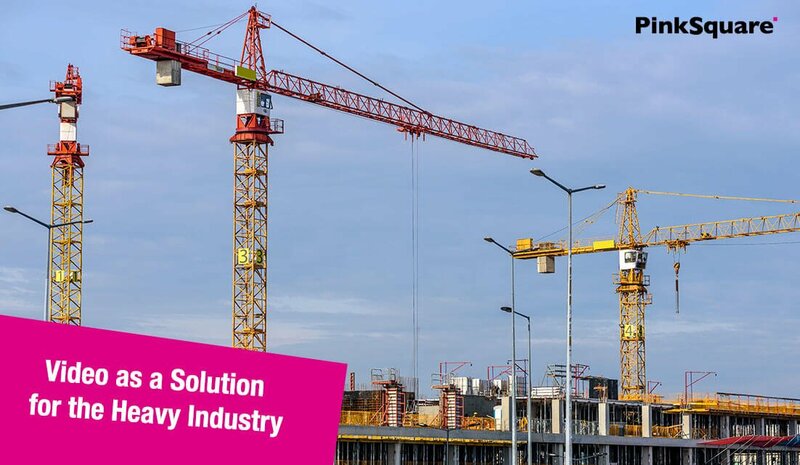 Imagine you have to sell a huge tower crane with a dozen metric tonnes of lifting power to the people who aren’t experts in heavy equipment, let alone in construction cranes. You have to somehow show them what the crane can do and how. Again, a 3D animation video is your best bet. We already acknowledged that small businesses can use explainer videos to their advantage. For example, industries that look complicated to an average person, such as plumbing can leverage the power of video. If you sell plumbing products or if your job is to install plumbing, you could use the video to present where the pipes are going to be once they’re set in place. Even a short one-minute video could be of great use if your customers want to visualize the water flow through their house. An equipment demo will come in handy through the whole production line period, as well as later in the marketing stage. It will come to the customer in the last stage of your marketing activities, so ensure you have enough spare time to work with the videomakers to make the ideal video. Let’s see what are the 3 main benefits of using 3D animation for construction equipment in marketing. As technology is improving each minute, your company should keep up. Flyers and paper ads fail to serve their purpose, so you need to find more interactive ways to keep the customers excited and curious about the products. With the animation video, the communication between your brand and the end consumers could improve considerably. Just after you post a new equipment demo on your social media profile, people will interact with it. Not only will they use it to get to know the product before deciding to buy it or getting to know how it works but their interest will lead them to share the video on their personal profiles. That’s how your brand can be more visible in the social media outlets. To wrap it up and to not waste any unused video material, you can take the 3D animation video of the construction tools you haven’t used prior and incorporate it into a new marketing strategy. Also, you could recycle older videos, such as heavy industry or a plumbing product video for future use. For example, if you use new plumbing materials, but the process stayed the same, take the older video only to show the process behind it. 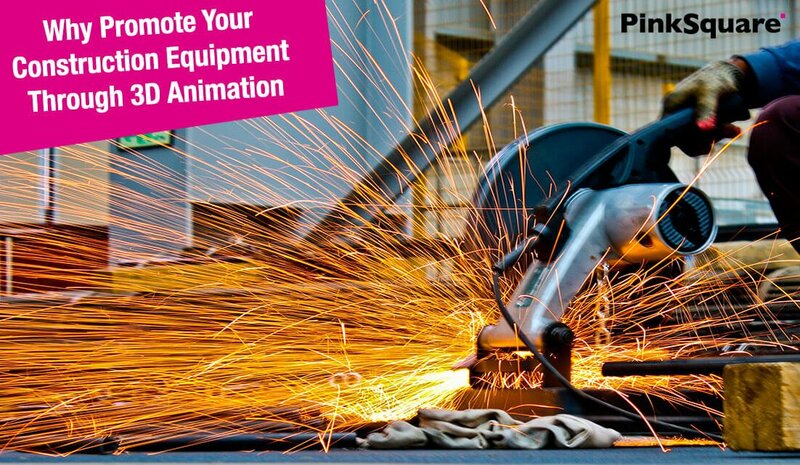 Be it construction equipment, a construction tool, a plumbing, or heavy industry, each can benefit from 3D animation. The hard decisions about the video type or the 3D techniques should be left to experts. In case you’re a company owner who wants to present their construction product to the customers but has a hard time figuring out how animation works, contact us on the link down below. Let us help you on your next 3D project today!